February 1, 2017. 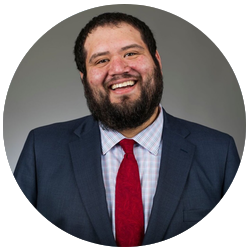 Dallas, Texas: The Dallas-based business & innovation law firm Chester PLLC is pleased to announce that intellectual property attorney Adam Villanueva has joined the firm. Adam’s practice will focus on trademark and copyright law, including matters such as filing trademark and copyright applications, representing companies before the United States Patent and Trademark Office and the Trademark Trial and Appeal Board, intellectual property enforcement, entertainment law and issues related to small and start up businesses. Adam joins the firm as an income partner. Immediately prior to joining Chester PLLC, Adam was managing attorney of the intellectual property department of a Dallas area law firm, where he provided trademark, copyright and general business startup counsel to thousands of entrepreneurs and small business owners. Prior to that, Adam worked for a boutique business litigation firm.